A little gem of an experience can be found while trawling through the extensive list of games on Steam called “Dear Esther”. While not strictly a game, it requires player interaction in order to complete it. But you’re not competing against anything, you are simply playing the role of a narrator of a story that you listen to while walking a set course across an island. Sounds rather harmless, and it is. But you don’t quite understand what you’re in until the music, the sounds and the visuals lift you out of normality. Think yourself immersed into a story that slowly grows on you as you move your way forward. This is Dear Esther. If you are now enticed to spend just a few quid on this delightful work of art, don’t read anymore as it will spoil it for you. Goodbye. However, if you have played and are wanting to read another take on the story…. But it appears there is much discussion on what the story is actually about. Having played it twice through now and studied others interpretations, here’s mine with pointers on key items. And yes, a reminder, there are SPOILERS in this. So please, do not read on if you’ve not played it, and if you haven’t played it, wait until it comes down to £1.74 on Steam and pick it up. Then come back. The Narrator is who you control throughout the game. His name is not revealed at any point in the game. He was in a relationship (possibly married) to Esther, who throughout the game is mentioned as the letters whom the Narrator is writing to are addressed to Esther. He is lonely, ridden with guilt and is lost without Esther, who has died. he is composed near the start of the game, and by the end he becomes more erratic in his thinking. I am inclined to think that his age sits him in his 50s, the voice you here is also definately suited to a man at this age. (see EDIT under Esther). Esther was in a relationship (possibly married) to The Narrator. She has died, while in the presence of The Narrator and a gentleman called Paul. She was around the same age as The Narrator at at the time of her death, which I believe was recent. *EDIT* Based on the comments made below by others from their observations (thank you to all! ), it also appears Esther was pregnant with the Narrators child. So perhaps the Narrator is younger than I originally thought. Donnelly is a writer from the past who often visited the island that the Narrator is currently walking, who has also visited the island often. Donnelly wrote about Jacobson and noted everything that happened on the island. His book was found by The Narrator in 1974 EDIT: (I believe shortly after Esthers death) found the book in a library and stole it. The book can be found in the house at the top of the hill in Chapter 2. I believe the book was much liked by The Narrator and his wife, which is why they visited the island in the past. he also had syphilis. Jacobson was a man who moved to the island around the time of Donnelly. He planned to build his house, raise animals and eventually have a family. He was not popular, and died soon after he built the house. I believe Jakobson is the same person. Paul is key to why we have ended up here, playing this game, as The Narrator, on this island. He is a sales executive who lived in Wolverhampton. He caused Esthers death. And here’s why…. Not long ago Esther and The Narrator were travelling in the same car along the M5 between Exeter and Bristol. Paul is in another car, who loses control somewhere between the Sandford turn off and the Welcome Break (so the crash is recent, last 10-15 years or so), skids and crashes into the car carrying The Narrator and Esther. Paul is first accused of being drunk behind the wheel, as alcohol is on his breath as he had some drinks following a sales conference in Exeter. He was travelling on his way back to Wolverhampton. But The Narrator tells us later in the game that he was not drunk. We can only presume then that he was not over the limit, but whether his alcohol intake affected his driving, in order to cause the crash is something The Narrator considers, as earlier in the game, he accuses him of being drunk. So what caused the crash is not clear. Paul is in a bad condition following the accident and has to be resuscitated. Esther is trapped in the car, presumed dead as the car had to be cut to get her out and it looked as though it was “dropped from a great height”. The precise location of the accident remains a debate, but The Narrator does say it was somewhere between the Sandford Junction (Junction 21) and the Welcome Break Services (Junction 19). The final junction motorway marker is present in the game, as is the turn off sign, and the bridge across the motorway, presumably the junction. So the most popular thought location of the accident is here. Also, the Narrator talks of the “traffic backing up all the way to Salford”, which makes this a viable location. However, that real location does not have the banks by the motorway like the game does, and the signage displaying the turn off for the junction is different in layout. We put this down the Narrator being vague on its location when trying to recollect the events of that tragic day. The Narrator tries to find the location of the accident, having driven up and down the motorway 21 times, but cannot find it. After the accident, The Narrator travels to meet Paul in his home in Wolverhampton. Paul at this time is dying in his own guilt and regret – the car accident has destroyed his life as much as The Narrators. But The Narrator, not seeking an apology but wanted to offer some no hard feelings towards the man, tries to “connect” with Paul but Paul is too nervous. it is obvious though that The Narrator wants to remove any bad scent between the two in order to get on with their lives as The Narrator wants to believe that alcohol did not cause Esthers death. It is not clear how or when Paul died, but certainly by the start of the game, Paul has died, perhaps commited suicide with guilt. The Narrator is saddened by this. This is where the game is set, an island in the outer Hebrides, which can be seen from the mainland as The Narrator tells us he can see the mainland. The Narrator has been here before, perhaps he came here with Esther, but certainly he has been here in the past, having been inspired by Donnellys book about it (the one he got from the library in 1974). by the time of the start of the game, he has been living here for a while, in the house where Jacobson lived. There are ghosts on this island, but to be honest, as there are 5 of them, I am to assume they are Esther, Paul, Donnelly, Jacobson and one other. I can only think the one other is the disfigured ghost, that could be anyone involved in the accident. *EDIT* Due to the comments below, we established that Esther is pregnant. 5th ghost? Invovled in accident? Disfigured? ……. This is where I think many have interpreted this game as a dream while The Narrator is actually in hospital dying following the accident, or rather recovering from it. A lot of comparison is done between the island and the car accident. He also tries to compare Esther to Donnelly, Jacobson to Paul. Which is why he calls them, at the end, Esther Donnelly and Paul Jacobson. I believe they are not their actual names, just comparisons in The Narrators mind. I believe that The Narrator is actually walking that island, recollecting the accident and the events following it, and comparing it to Donellys book. this game is not a dream sequence of any kind. At the end, you are seen falling from the beacon. And then, you turn into a gull and you fly off. It is at this point the Narrator dies and his soul, so to speak, takes off like a gull, and joins the other two, Esther and Paul, who’s souls are represented by the two joining gulls at the end. *EDIT* following the comments left below, it becomes apparent that Esther was in fact pregnant. So, are the three gulls the Narrator, Esther, and the unborn child? This seems more likely. It also makes the ending more sentimental, or, if anything, brings a tear to your eye. So yes, I believe after all that The Narrator went through, he ends up committing suicide and joining Esther and his unborn child in death. There are biblical references in the game. Damascus is compared to Wolverhampton, assumable a comparison to The Road To Damascus (or, the road that Paul was taking back to Wolverhampton). The Road to Damascus is sometimes used to describe a big change in someones life. This I guess is relating to the car accident. 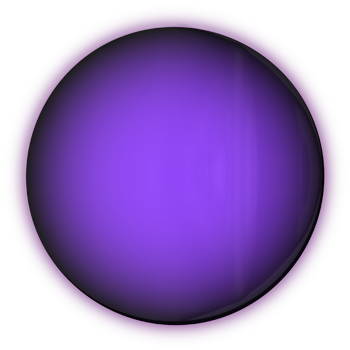 Lot’s wife is mentioned in Genesis 19, and is also mentioned in the game. Interestingly, Lots Wife is also a location in Marsden Bay in England, a Sea Stack, similar to one that is found on the beach in Chapter 1. I am however unclear on the other references and their meaning to the story. Only the reference to “looking back” makes any sense to me. Whats with the number 21? That crops up often in the story. To be honest, I’ve no idea. 21 is the starting age of adult life, but that’s as special as it gets I guess. *EDIT* thanks again to readers comments below, 21 certainly has some reference to alochol and the number of nodes on anti-lock brake systems. Coincidence that the two are in reference to each other? Quite possibly. So there we are, that is what I have interpreted from the game and imagined in my mind. You may have something totally different, and I am sure if I play through it a third time something else will come up. Your thoughts below are welcome! Hey Matthew, just read your synopsis of the game. I finished the game about 30 minutes before reading this. I think you nailed it spot on. Thanks for the help figuring the story out. what about the paintings? nerve and chimical stuff? Thanks, glad it helped you out a little. It’s an intriguing story isn’t it, so open to questions and interpretations. UFoZN, not sure what you’re referring to? Would you care to elaborate? My guess is, that the fifth ghost the the narrator himself. At the beginning of the game you sea a single seagull in the toilet (sort of metaphor for secretion and the end/also ongoing circle). When you see the last ghost (the one on the cliff) you are actually looking at yourself – you are forced to exit the came, the game won’t exit for you. Everytime you try to kill yourself by jumping off a cliff you hear “Come back …” and you are brought back to your last standing point. You can’t escape this circle, before it is “finished”. When you finish the game you have to force yourself to get out of the game, this produces a sort of .. unfinished feeling in your head (plus: you see yourself reflected in the black screen, when you have got a glass-display), urging you to come back to the island to explore its mysteries and whatever. You are the narrator, you keep coming back, not having resolved the issue, which bothered your mind. You will never figure it out. This is, what’s so great about this game. It lets you question the nature of life itself, you get clues, but you never seem to grasp everything that is going on. You are trapped. imacg0r – plus, when you accidently / intentionally drown yourself, you are told to “come back…”…and yes I noticed you had to quit out of the game at the end, and your synopsis as to why that it would make sense. Matthew, much like Joshua I just finished the game and wanted clarification on what really happened, thank you. I noticed that you asked UFoZN to elaborate. What he was referring to was the masses of chemical equations/ writing and diagrams of nerve endings etc. that are found in the caves. Looking back on this I can recall two things one, he mentions that someone (not sure who, possibly Paul?) handed him their cup, which had some of this printed on it. Seemingly irrelevant he says that all his thoughts, in the letters (from the 21 you see at the end ,as boats, when you fly over) will be left all over the island..
What I and UFoZN would like to grasp is how these things related to the story? I can understand that possibly he is leaving his thoughts on the island with Esther and the other 4 Ghosts (inc. Himself) to leave a marking of himself, which he said he was searching for at one point.. a mark of one of the previous visitors that is. P.S. The 21 you were unsure about, I’m guessing that is the 21 letters. also, a question for myself. If you have any idea… What is that marking on the beach at the very start? Thats a good point, I hadn’t thought about the relevance of the equations and diagrams in the caves. I’ve not thought that one through (tel you though, the caves chapter is one of the best looking things I’ve ever seen in a game). Why he’d want to leave his mark on the island though, I’m not sure. There’s the 21 letters, but 21 is referenced everywhere in the game, why would that be? Is that reference to the letters he’s written? Hmmmmm…. I actually just started playing the game recently. And it is quite enthralling, it is a beautiful scenic experience, and as I have an eye for detail I am loving it. By the way at the very beginning in the lighthouse there is a partially visible diagram of a nerve, but it looks worn from age. Also the drawing in the sand on the beach in the beginning is called a Fibonacci spiral, not sure of its importance to the overall story line, perhaps one of you can figure that out. I have a friend tell me about the story line before I got the game so reading what you wrote was not really a spoiler as much as it was a better explanation. I am playing it now simply for the experience. I do however feel the game may be dream, or more likely a coma dream, hence the nerve drawings(representing possible nerve damage caused by the crash perhaps?) could have a deeper significance, as we know they are important in that you find paint cans littered all around the beginning of the game, that were used to paint the diagrams, constantly reminding you of said paintings. I think there is a lot more to this game than meets the eye until you play it a few times, but it could just be a reflection of life itself as you said, in that you perceive things differently than every other human being, so why not this as well? And maybe that is the magic of it, that it is up to you as the “Player” to come to your own conclusions and there are no wrong answer, just answers, and yours and mine will be different, but that is the magic of life. Also they are many electric diagram and especially one (near the two boats in the begining of the second chapter) with light-emiting diod “connected” to a rock and pointing the beacon. Some of them even blend with the alcohol formula. However, I didn’t quite understood who’s the hermit the narrators’ talking about… And did he paint everything himself ? Anyway, great experience. Too bad the level of english needed was a little bit high, I couldn’t catch everything… also the lack of running made it a little bit frustrating while exploring but I guess that was part of it. doesn’t the narrator explicitly say it near the very end of the game? 21 species of gulls on the island. 21 letters. 21 (something to do with the electrical circuit of a car-brake, which he paints all over the cliff). the narrator can be heard questioning the significance of 21 himself, saying “was it just coincidence or does it have a meaning??? ?” which is like questioning if esther’s death was meant to happen and if he was meant to go through all of this. 21 also is associated with alcohol – a huge theme in the game. and although the legal drinking age is 18 in many places, especially europe, since i grew up in america i cannot help but be inclined to connect that number to the legal drinking age here. The chemical formula I thought to be ethanol as well, which relates to the alleged intoxication of Paul. The electrical diagram (the intricate one that’s repeated several times in the caves)I believe to be the diagram of the electrical circuitry of the anti-lock brakes (I assume from Paul’s car, maybe the Narrator is obsessing with the faulty device that caused the accident. Maybe it was uncovered to be malfunctioning after the insurance experts took a look or something). In one voice-over the Narrator mentions the 21 nodes in the circuit board of the anti-lock brakes, that’s how I came to this ‘conclusion’. As for the nerve cells, Fibonacci spiral and amoeba-looking things, I don’t have a clue. I have just finished the game and one thing struck me, in one of the interactions with water (when you fall in one time) you can hear what a baby can hear inside his/her mothers belly. It’s just a theory but the 5fth ghost can be a child, and Esther could’ve been pregnant at the time of the accident, that could’ve also caused The Narrator to commit suicide. It’s just a theory, like I mentioned, and it would make it even more sad… this game is absolutely beautiful. @nokingkane and @cearule in that case, the number 21 is obviously in reference to alcohol, and how everything else in his life has been affected by it i.e. the death of his future wife. @gregoryJ wow I’ll have to listen out for that. Perhaps the bit after you fall into the water, where you are submerged, symbolises inside the womb? This all pretty much confirms she was pregnant. first of all sorry for my english… but reading your comments, i would like help with your conclusions about the argument, and what GregoryJ said. Well, i’ll try to explain what i saw the last time I played. in the third chapter (the cave) i was exploring deeply, and theres a moment when you arrive to a large place, with a rock-bridge in the middle ( you know? ) and you can cross the bridge, or, explore both sides. Okey, if you go to the right, passed the bridge, you found a little “shore”. If you look closely you found TWO PICS, over the sand. One pic is, i think, a “ultrasound” photo (or ecography) of a baby! That, i supose, confirm that esther was pregnant. And the other photo seems to be a woman (esther? ), or a man maybe… i dont know, the quality of the photos is poor. Thats all, hope this helps. Love this game! I saw that too! I also saw what seems to be the shape of a fetus/infant face in the clouds (seen at 22:08 at this video: https://www.youtube.com/watch?v=2s816SS0EL8)… really creepy but too distinct to be accidental in my mind. Wow, really? That pretty much confirms it then, yes I know the bridge you’re referring too. The cave drawing with letters H, C and O connected with lines to each other is a chemical bonding chart for alcohol. Here is a picture of how it is typically drawn. the cave one is a little off centered but its the same letters connecting in the same way. After reading your interpretation on the story of Dear Esther, I was surprised to see how different it was to my intake of it. What I got from this game was that the Narrator has been dead the whole time, and he is a ghost wandering around the island over and over. He has said in one of the first chapters that he had walked this path many times, creating confusion as you have no clue what he is talking about, but at the end it all makes sense; the Narrator walks around in circles on the island until he reaches the lighthouse where you jump off and the cycle begins again, explaining the symbols and writing on the walls (he drew them himself). I also think that Esther and Donnelly, and Paul and Jacobson are in fact the same people, and that Esther and the Narrator already had kids, since the Narrator stated it before (it would be extremely difficult for a woman in her 50s to be having a child). 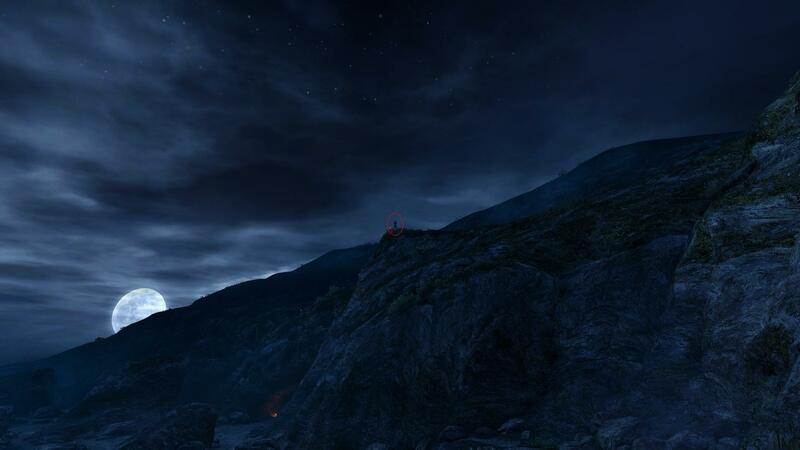 @doublecurry well this I guess is where Dear Esther works its magic – the interpretations are endless, is it real? Is it a dream sequence? Is he dead already? Interesting take. Although I’m not convinced of the Esther / Donnelly and Paul / Jacobson same person scenario. Cool interpretation, but I have a few things to add. First, forget the number of ghosts, there have been over 10 ghost sightings already. Also, Ive read somewhere that where you use the source engine to save a file, it is titled “Paul”, which could lead to another interesting interpretation: That you are actually playing as Paul following in the footsteps of the narrator, which would explain why everything was already set up in front of you. Also may explain why (as an alive person) you encounter the three dead gulls and three eggs (Narrator, Esther, and child). So much to think about! I know that a good deal of the chemical compounds you see plastered on the island are that of ethanol CH3CH2OH, often abbreviated as C2H5OH or C2H6O. Best known as the type of alcohol found in alcoholic beverages. The schematics are most probably that of an anti-lock brake system. Also, regarding 21, that’s how many miles the narrator drove up and down the motorway looking for clues about the accident, it was also the number of minutes that passed till the emergency services came, and the number of letters in the narrator’s “armada”. However, I believe the clues like the number 21 are red herrings for what the story is really conveying (see above link). There are also drug references outside of the drunk driving allusions and the ethanol diagrams. I believe the kidney stone pain the narrator experienced or the psychic break which occurred after Esther died helped develop a dependency on laudanum or pain killers. I just finished this game… It’s was beautiful. So one thing I’ve seen many people asking about was the “nerve endings” and such on the walls. As stated multiple times there was the circuit for Anti lock brake systems, the Chemical equation for ethanol. But what about the others? Well there was a few drawings of neurons which are the signal senders and receivers in out brains. Another diagram was of the chemical equation for dopamine. A chemical that creates a feeling of happiness and pleasure in the brain when passed between neurons. Maybe this is a representation of fond memories. I don’t know. @Dane – Wasn’t it beautiful? 🙂 Nerve endings, perhaps nerves in the brain? A relation to the influence of alcohol? Just a guess, but yes I noticed them too. Thanks to everyone who’s commented so far, not sure about you but it’s helped me understand the game a bit more. I just finished the game, and i noticed (sorry, can’t remember exact location) there is a very small picture on the ground. If you look close enough, you can see that it is an ultrasound with a baby in the picture. I guess it just reinforces the idea of a pregnant Esther. Well pointed out. No I have not seen it, that sounds like hard proof that Esther was pregnant. I could be late to the party, but there’s something very interesting that seems nobody saw! That would be this image. 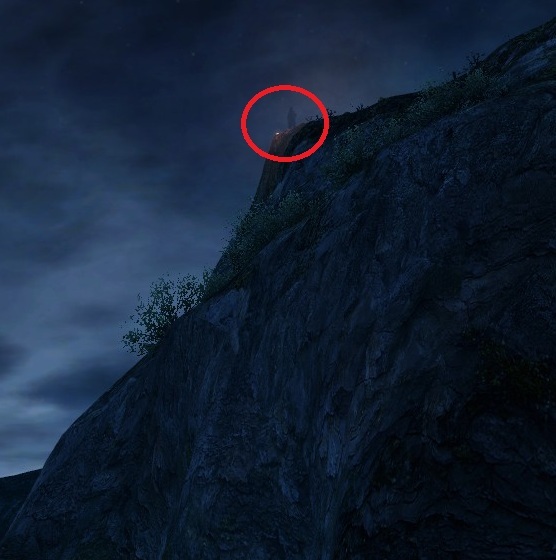 I was also able to witness the silhouette on the cliff. So I’ve just finished the game and was completely stunned by its brilliance. Anyway, I just wanted to post my assumption about the amoeba things. turns out scientists believe they’re biologically immortal, so I think they symbolise immortality, be it the immortal love or eternal life after death. @Maxx Never too late! 🙂 I believe we touched on the subject of ghosts, but there’s wide speculation on who they are. Thanks for the links though. Your first picture is the last ghost you see I believe, there are many more to be found. @johny good spot, could well be. Certainly ties in with the rest of story. and what about those origami boats newspaper-maded? maybe 21 times is the magic number?! I still think the story is a dream sequence. Subtle hints such as the inability to die throughout the game, the scene with the underwater city, and the transformation at the end seem to fit this hypothesis. As for the bird- I believe it was in terms of freedom from guilt and sorrow, not submission to it. The ending’s atmosphere seemed to end on a positive note, implying that the narrator may in fact not have committed suicide, rather, he might have found resolve and thus, freedom (hence the bird in flight). Perhaps he was spiritually reunited with his wife and child, but I believe it was in mind and memory over actual physicality. Great interpretations regardless. I have never tried a game like this before, but the second Amnesia game inspired me, and I must say, I was by no means disappointed. Interesting detail: there is a structure formula of C2H5OH (alcohol) on the wall in the of the first house on the beach. I love the above comments, and I hope I can contribute, as a neuroscientist. I was particularly intrigued by the diagrams on the walls throughout the game, especially in the hallway in the caves where the circuitry, organics, and neurons become intermingled. There were three “groups” of neurons drawn in the game, as far as I can tell. The first, most standard, is most like your average cortical neuron; the second is most like a sensory neuron; the third looks remarkably like a scientific drawing of a perkinje neuron, which is found in the cerebellum. Associated with motor movement and error detection and correction. There is one point in the game where all three are drawn together, in that sequence. I can’t contribute much to these theories – I just finished my second playthrough, and I only saw two ghosts and have limited information! But I love reading these theories and I hope that the above information can help at all. I have enjoyed the comments from others here. As I experienced the island it came to be the last vestige of life where the soul seeking absolution from the guilt of losing Esther as the driver when wrecked saw places he could not go and ended up thinking he’d found a way out, only to be forced to return to the path where the soul was released, a journey for corporeal to spiritual release, the nervous system, chemistry, luminescence, all worked together giving an air of searching for the way forward from death. Here’s a thought: Saul, in the New Testament, is referred to more often as Paul. On the road to Damascus to persecute Jesus’ followers, Saul was basically struck down, went blind for awhile, converted and then was referred to more often as Paul. In essence, he is a new man. What if the narrator and Paul are one in the same? Being Paul, maybe he was the one who was drinking and caused the accident that led to his wife/unborn child’s death (and was mentally blind to his actions). Now he has created an alternate personality to disassociate himself from the tragedy and guilt, is no longer “blind” and he is essentially two minds living in one man… Ghost… Thing. I’ve only finished playing it once , so this is a complete shot in the dark. I’d play it again, but my head is spinning. I’ve got to digest this game first! I think the narrators time on the island takes place years after his wife’s death. He’s old, he’s sick, he’s dying and the island is his mind; filled with collections of memory’s of how he’s cooped and understood her death. The Radio tower is a form of communication; I think, by jumping, he let go of what happened and finally was set free. Reaching her. Hey guys, I also noticed the chemical formula for dopamine in certain instances as well. It’s linked with adrenaline so what’s the relation to that then? Hi, this probably makes no sense into the story, but im sure you’ve seen the ”In loving memory of Joaqueline and Steven” as an easter egg, using noclip. Does anyone what does this mean? ok, at some point in the game, there is a small circle of candles with a car door and two tires. any idea how these got to the island? along with the car door in the beginning? in sort of a nook? the theories of the birds makes so much sense to me and help me understand the game much better. i have an idea that maybe the ghosts turn into the birds? like that house that you walk up to where a ghost walks into it as you approach it, you dont see the ghost inside, and when you go out the back door there’s a bird that flys by? just an idea. and then maybe in the end the narrator’s ghost turns into a bird before it hits the ground? did anyone see the chemistry book on the ground very early on in the area with the large tall stones? it was on the ground. im still trying to figure out what it’s for. any idea why there are so many shipwrecks on the island? @mac the chemistry book I’m going to guess is related to the alcohol subject. Your ghosts turning into birds at the end is not a bad suggestion either. First of all- so many great comments and theories including the author of the page! My mind is reeling with thoughts. I believe there are 2 actors- Esther and Paul (the Narrator): He refers to them as Esther Donnelly & Paul Jacobson. Paul was drunk while driving with Ester in the car. He declares, “My disease is the internal combustion engine and the cheap fermentation of yeast.” It takes 21 minutes for the EMS to arrive and revive him. Sadly, Esther dies. The one thing I am trying to discern are the surgical tools and the blood. What has happened here? And also- the machine that reminds me of an ultrasound used on pregnant women. Did they try to remove the baby after the car accident? I feel as if I am in his mind- perhaps he is in a coma or under the mental derangement of tertiary syphilis. Or did he infect his wife (and fetus) and was…. oh, I just don’t’ know what to think! I just played it (only one playthrough) and thought that the island is a metaphor for the narrator himself. A video game version of “a man is an island”, if you will. In chapter one, the narrator (like the player) is trying to even understand what is happening. He tries to maintain composure, looks at religion as a possible answer but it’s not satisfactory. Donnelly is the parallel he draws to himself, retreating from life like the hermit and getting lost in thoughts like the hermit paints his cave as a museum. The eponymous lighthouse could be Esther herself, but in order to progress in the game, i.e. in the narrator’s life, we have to move further away from the safe starting point. In chapter two, the buoy (which he angrily derides at the start of the chapter) keeps flashing, analogous to how the narrator can’t get the accident (shipwreck) out of his head. As a result, he looks into research as a way to cope with his loss. Hence all the details about Jakobson, who acts as a stand-in for Paul, similar to how Donnelly researched Jakobson but got lost in feverish hallucinations towards the end. The narrator also loses his way, the infection is a darkness in his soul, not his leg. I can’t see the caves of chapter three as anything else than the deep hole that the narrator digs for himself. He falls in and experiences endless pain trying to even reach the surface again. Along the way, messages of despair are scattered around, as well as multiple setbacks of subsequent falls that continue to take effort to recover from. The caves are beautiful but deadly at the same time. By the end of the chapter, the beauty has turned into ugly green goo and incantations of pain that are all that’s left in the narrator’s life. In my reading, chapter four is all about finding forgiveness and redemption, a new outlook on life. The narrator finds a way of letting go, by sending his letters to Esther off into the ocean and transforming them into a video game. The beacon is a beacon of hope, far away at first but the narrator makes it past the dangerous cliffs to get there in the end. By reaching the beacon and flying away as a bird, he finds the strength to escape his own island of grief and carry on with his life by himself, but honouring the memory of his wife (and unborn child) as well as making peace with Paul. Other interpretations may be just as right or more so! Thanks to everyone for cataloguing and deciphering all the different symbols, it added substantial depth to the game for me. I just played too. At first I thought I was the narrator, but then I soon got a sense that he was long gone, the same way he spoke of Donnelly being gone. Then I figured I was just me, looking round the island, perhaps after finding and reading his notes and letters or hearing the story. At the end he makes mention of someone else coming to the island to find out about and remember him, the same way he did with Donnelly. I figured that I was that person. I still don’t understand where all the luminous paint came from! That was literally my first question and it never got answered. Or why he went to the island, and mentioned “if I ever got back to the mainland” – why would he not be able to get to mainland? Thank you very much for that analysis. I just completed the game and it’s given me a lot to think about. God bless. Dear Esther, what’s in it and what does it add up to? After playing through the game and reading people’s speculations and commentary, these are the things that I’ve seen and the three story paths that I could see as being plausible. Thank you to everyone who commented in this thread and left links. And a special thanks to the people who explained the pictures and diagrams, there’s no way that I would’ve figured out those parts without your help. The story was intended to be vague, the clues sparse, randomly doled out and inconsistent. The narrator is also in a state of dementia brought on by some mix of emotional trauma, isolation, laudanum and/or alcohol induced stupor along with other physical side effects of the car crash which started the story. The narrator’s account is suspect and he is also desperately searching for some meaning behind the event, which leads him to make several inferences and to combine and blur details. This all adds up to multiple interpretations as there is a lack of concrete evidence to refute many of the hypotheses. Near the beginning, but just off the beaten path is a Fibonacci spiral. It’s a repeating pattern which spirals in or out on itself. It could represent the player’s repeated journeys through the island, each time recovering a little more of what happened. It could also represent the Narrator’s spiral into madness or his need to keep revisiting and turning over the events in his mind until he comes to peace. Either way, this spiral, this potentially infinite loop is the essence of the game. The way I see it, the player could either be the grief-stricken demented Narrator who is trapped in an endless spiral and seeking meaning and purpose or the player could be Esther herself. The other people in the story may be real or they may be personifications of parts of the Narrator’s personality or they may be superpositions of the Narrator’s personality onto people who actually did exist. Jacobson is a man who had hopes of striking out and building a life for himself and finding a wife- however he instead dies alone because of a disease. He is either a historic figure or an analogy for the narrator’s hopes which died with his wife and unborn child. The narrator mentions that he has a disease which is not of the flesh and there are suggestions that is may be a drinking problem. If so, then it is that disease (alcoholism) which is responsible for the Narrator dying alone. The Narrator cannot find the precise location of the crash when he searches in real life which might lend credence to the Narrator being affected by laudanum or alcohol before the crash. Donnelly seems to represent pessimism and bitterness. He sees the worst in others and focuses on painstakingly noting all the details of the forsaken island he is living on. In the history, his character emerges as Jacobson dies. Paul is either the other person involved in the crash or he may represent the Narrator’s denial and his subsequent attempt to start a new life. He starts devolving into panic when confronted with the reality of Esther’s death. In the bible Saul changes his name to Paul when he has a life changing experience and becomes a new and better man. The Narrator’s dialogue tells us that Paul was quickly weathered under his sense of guilt and the weight of responsibility. Ultimately Paul was also unsuccessful and died (or was let go) also. The Narrator misses him. Paul and the road to Damascus: The biblical verses to this story are referenced. Mainly that Saul was on his way to Damascus and then he was struck and blinded by a bright light. I believe that all of the references to the biblical story of Paul came as a result of the Narrator’s desperate search for any shred of purpose or deeper meaning in the whole event. Similar parallels can be drawn to his fascination with parallel lines (which were crossed before the crash) or the number 21 which occurred multiple times during the ordeal and he now describes a significance to. There are three types of neurons displayed, a cortical neuron which is used for awareness and thinking; a sensory neuron; and a perkinje neuron, which regulates motor movement and is responsible for making corrective adjustments to motor actions. Also, the chemical structures for ethanol (alcohol) and dopamine are shown in several diagrams. Dopamine is a side effect of morphine and several other painkillers, including ones given to people with kidney stones. Both are addictive, impairing and they compound their effects if taken together. Bacteria paintings could be a reference to the infection in the Narrator’s fractured leg- or they could be the bacteria which produces alcohol. If so, then it would explain why the paintings shortly before the cut scene of the crash/hospital room were a fusion of bacteria, neurons, alcohol and an emergency brake switchboard. A demonstration of all of the scientific reasons for why the crash happened. Potentially showing that either a drunk Paul or drugged Narrator could’ve crossed lanes and neither was in a position to properly respond and make adjustments in time. In addition, the brakes seem to have failed on one of the vehicles. The island is clearly not real and the resultant journey is not a physical one as evidenced by the fact that you can’t die and will be returned if you attempt to leave. It also explains the unearthly cave system, ghosts, candles, bioluminescent paint, fungi and the voice of the Narrator. But what is the island and who is the player? The Narrator says that he knows the island well enough to traverse it blindfolded. I believe that he also says in one of his snippets that Esther is also familiar with the island and that they visited together. In another he says something which could be interpreted as stating that he is the island. To me the barren island represents the memories and emotional state of the player, who is trapped and reliving the events which destroyed their life and left them stranded and alone. The event which started all of this was a car crash which either killed Esther or left her in a near death coma. Esther was pregnant and married to the Narrator, who is heartbroken and cracking as a result. You can see a hint about this whenever you go completely underwater in the ocean: The screen seems to change to an ultrasound picture and when you’re at risk of drowning the Narrator tells you to come back and you reappear at shore. There is also a photograph of an ultrasound located in the cave. The fact that the ultrasound pictures prevent the player from leaving is evidence of the importance which the player places on his or her unborn child. If the player is the Narrator then the island represents his depression and feelings of total isolation. The guilt the Narrator harbors over his lost child is also a major element of what is keeping the player bound to the island. He either sought it out physically after the crash because it reminded him of his wife and he wanted the isolation because he couldn’t cope or his dementia brought him there. If he went there physically then he has since died from a fractured leg and starvation and continues to haunt it until he finds catharsis and a meaning behind the events. If he is the player, then at the end he reaches the highest point of the island and then turns into a seagull and flies away. Symbolically leaving behind the guilt and loneliness which is binding him in his current state. Right before that he talks about becoming an island which rises and becomes a radio tower which will not forget her. If he physically intact during the game and this entire journey was only in his mind then it means that he achieved catharsis and he decides to live and move on. The narrator talked about the letters he wrote which he turned into boats and sailed into the Atlantic, essentially letting go of the pain. However, he also talked about seeing Esther on the other side of the waterlogged paper and said that when it disintegrated they would be reunited. If the Narrator did physically come to the island, then he died and his ghost has been haunting the island until he learned to forgive himself. Now that he has he can finally move on and be reunited with her. However, if the player is Esther then the island represents her consciousness trapped because of her coma and the last remnants of her connection to life- and her body which is too damaged to save. Saving her child is what is driving Esther to not let herself give in and die, even though she and the Narrator both know she won’t make it. If this is the case then the Narrator is reading her all of the stream of consciousness letters which he has saved up in a last attempt to reach her while he is struggling to hold it together. This is why he says come back any time the player is about to die. In fact, the last thing that you hear is the Narrator saying “come back” before the screen goes black and you hear the final sound of a heart monitor flat lining. In the end she realizes that there is nothing that she can do and allows herself to pass on after her husband finds some measure of peace. I just finished the game 10-15 minutes ago, it reminded me of games like Firewatch and Everybody’s gone to the Rapture, anyway, it was a beautiful experience and I had so many questions regarding the plot. I looked up quite a few explanation videos on YouTube and also many blog posts like this, your explanation seems to make the most sense and genuine. Thank you for this! I appreciate the time and effort you took to analyse the game and write this. Thanks again fellow internet buddy! Godspeed! In my 1st playthrough, the narrator says he mixed some of the ashes (from the 4 cremation urns) that he stole (losing some in the car seat on the way home) with the luminescent fungi and the paint, creating the glowing paint. He talks about the crematorium a few times, so I assumed esther was dead and gone. I also figured he was the current hermit; he says he brought many things to the island, including her “camping chair”, to stay and look for significance. He brought 2 sleeping bags – 1 is in the cave by the first trawler, where the bowl of bones and the suit are. He says he’s camping there for a bit before he moves to the Bothy. He mentions in the beginning that he wrecked the boat and almost drowned, and that was his last journey. I think he was going back and forth, bringing the things he needed to live as the hermit..except he couldn’t find peace that way and started to break down. After he breaks his leg, he says he now knows how it will all end. The medical stuff in the cave and in the goat pen are looted from the trawler in the beginning and he has used them and the bottles of laudanum on/for his leg. The ultrasound photo is also sometimes in the lighthouse at the beginning. I am in the camp that believes she was pregnant at her death. I have been through 4 times and I hear and find something new every time. It’s fascinating. At the end of the first cave, looking over the other side of the cliff, towards the first cave with the drawings, i saw a red light flashing. What could it be?